Mark and Jean are heroes !! “Nothing’s easy out here” said our pilot struggling to remove the cap from a fuel drum as we refuelled at Theil ski-way. My word, was he right. In fact everything is really hard from going to the toilet to clipping a buckle to turning on your phone! This place is relentlessly demanding. Today was a mixed day! 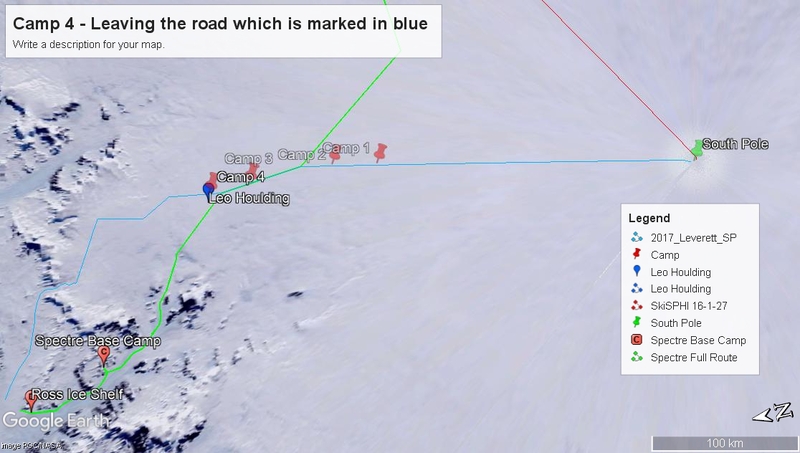 Conditions were the best so far and our heading to wind direction was perfect along the kind surface of the ‘road’ (the McMurdo–South Pole supply route). Today, we decided to put some serious effort into filming to try and get a few minutes of good kite footage to create a sequence. It was a nightmare and we only got about 30 seconds of usable content in three hours of painstaking, infuriating effort. It’s difficult to describe just how taxing filming Antarctic kiting, whilst on an expedition, really is. In a nutshell; the kites we have are awesome, but only happy when they are flying and they are very powerful. We have to be heavily over-powered to move the giant pulks. When on the move there is smooth transfer of power from the kite to the load and one must simply act as pilot. However, when stationary there is a large amount of potential energy waiting to be unleashed by a careless moment. Lines can catch on sastugi, the kite can spin and turn in on itself, creating a bow tie. All these things take large amounts of time to resolve. Filming requires at least one person to be operating a camera. Doing that whilst flying a kite is very difficult unless the terrain and heading are perfect. Stopping to film the others coming past requires landing the kite and the associated risks of a tangle.. 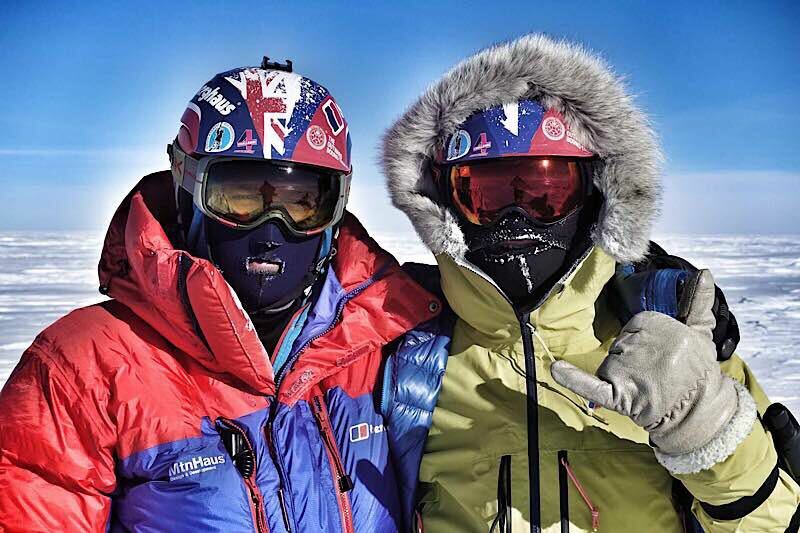 Wearing polarised googles means you can’t see the camera screen at all and big mitts must be removed giving you a few minutes in thin liners until fingers are frozen. The surface is so bumpy that quality footage from any mounted camera needs gimbal stabilisation. Today I had an epic trying to get a 30 second tracking shot. The GoPro and gimbal batteries took it in turns to go flat after less than 5 mins. The kite then tangled culminating in a bit of a sense of humour failure. After sorting the kite we called a halt to shooting and were treated to 15kms of dreamy high speed travel on a perfect tack in less than an hour. With all batteries dead and cameras buried in the pulk I had to just savour the magic for memories sake and let go of the frustration of how awesome it would’ve looked. Frustrating as is was, it was also a fun day, and we learnt a lot about how not to film kiting! We arrived at the point where we will leave a depot of food and fuel for our return trip. This is where we leave the ‘road’ and head, not only into sastrugi land, but towards some major crevasse fields. We decided to stop early after a short day. Get some rest, charge some batteries from solar and enjoy the first non-freezing temperatures inside the tents. The warmth has brought the laptop back to life and Mark is busy backing all the data up 3 times. Jean is sewing something, not sure what, he always seems to be sewing or fixing something and he’s very good at it. We can see the mountains that flank the Scott Glacier and soon will begin our descent from the polar plateau 1500m down the Robison glacier and to the Spectre. Exciting times! Great entry today Leo., thanks for making such an effort to keep us informed. You are certainly pushing the limits in every way on this trip, I hope all goes well. Hopefully you can get some footage along the way, although even taking stills is difficult obviously. The ones we’ve seen are excellent- hopefully we’ll see some more each day. Hope you’re all keeping well, and wishing you good luck all the way. Thanks for quite a detailed review of the day ! Just make sure you get enough film and video to do a tour and book deal lad. I understand why your are filming but it saddens me slightly, that even on an adventure such as this, that cameras and computers have the ability to take over a bit. Please don’t let them take over too much. It would be great for you to be free to focus on being in the moment and to be less burdened. Damn that’s rough! Hopefully you’ll be able to get some footage along the way but no shame in not getting it either. None of us up here on planet earth have any idea what you’re going through!